Croatian prime minister Zoran Milanovic. Author: vlada.hr. License: All rights reserved. 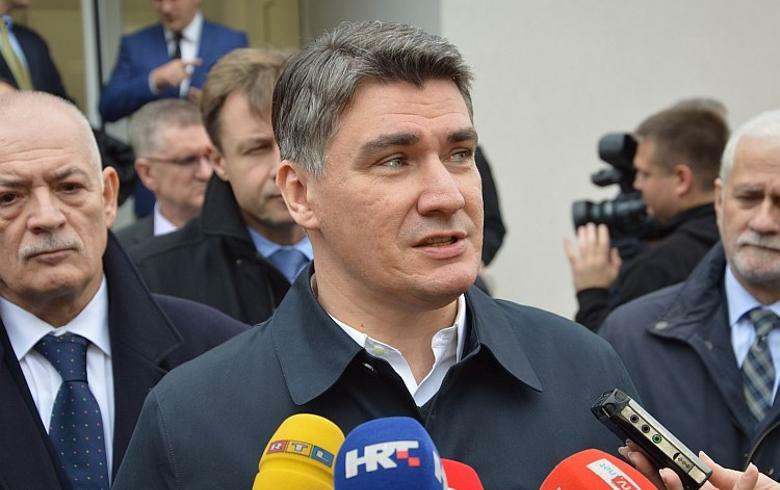 ZAGREB (Croatia), September 12 (SeeNews) - Zoran Milanovic said on Monday that he will not run for another term as president of Croatia's Social Democratic Party, SDP. In an address to the media, aired live by Croatian broadcaster HRT, Milanovic said that following the results of yesterday's snap vote - in which SDP came in second behind conservative HDZ - he has decided not to run for party chief after nearly 10 years in office. "At the head of SDP, we need someone who will fight for the little guy. The Croatian society is going through a phase of change. In this phase, those who don't tell the truth are better off", Milanovic said. The next internal election for party leader is due to be held within 150 days of the general elections, according to the party statute. Milanovic pinned SDP's loss to the low election turnout, saying it favoured the rival bloc. He was, however, at the center of controversy just weeks ago after accusing Serbia of wanting to rule half of the Balkans in a recording of a meeting with war veterans, which went viral across the region. Milanovic went even further, claiming that Serbian prime minister Aleksandar Vucic should have been indicted for his wartime actions. His statements shocked both Croatians and citizens of the other former Yugoslavia nations, and marred the election campaign. The international community has judged that relations between Croatia and Serbia are currently at their lowest since 1990's. Milanovic was elected party leader in 2007. He served as prime minister of Croatia from December 2011 to January 2016.